Dana Gluckstein has photographed indigenous peoples from America to Bhutan for over 30 years. See striking images, and commentary, from her new book Dignity. For over three decades, I have photographed indigenous peoples—groups who maintain their ancestral culture and societies—fighting for their very lives. Dignity is also designed as a call to action. The United States is the only country that has not signed on to the U.N. Declaration on the Rights of Indigenous Peoples, which was adopted by 144 countries in 2007. We urge President Obama to adopt this important human rights declaration without modification and to make an historic apology to Native Americans, just as Australia did for the Aboriginal people when they adopted the declaration two years ago. Dignity, is the culmination of my museum-collected body of work and includes historic text dedicated to UNDRIP in association with Amnesty International for their 50th anniversary in 2011. Sixty images from the book will tour Europe and the United States beginning in 2011 at the Willy Brandt Haus in Berlin, February-March, then to the United Nations in Geneva in the Great Hall of Nations in July. For more information on the UN’s efforts and to encourage President Obama’s endorsement of UNDRIP, click here. 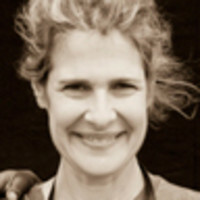 Dana Gluckstein graduated from Stanford University, where she studied psychology, painting, and photography, and realized the power of images to shape consciousness. She lives in Los Angeles with her husband and two children. Follow DIGNITY on Facebook.